Berlin continues to expand its influence in the global arts community, increasingly establishing itself as the creative capital of Europe. There is a healthy relationship between the city's explosion of exciting content and the abundance of curious alternative arts spaces: Kunstraum Kreuzberg/Bethanien occupies an old Prussian hospital. This year's Berlin Biennale installation, "The Draftsman's Congress," has taken over the interior of an 18th-century church. And the city swells with studios, theaters and collectives that have claimed disused industrial spaces. MADE — variously a gallery, workspace, studio, stage, laboratory or performance space — can be counted among the more high-profile and internationally-reaching of this Berlin breed. 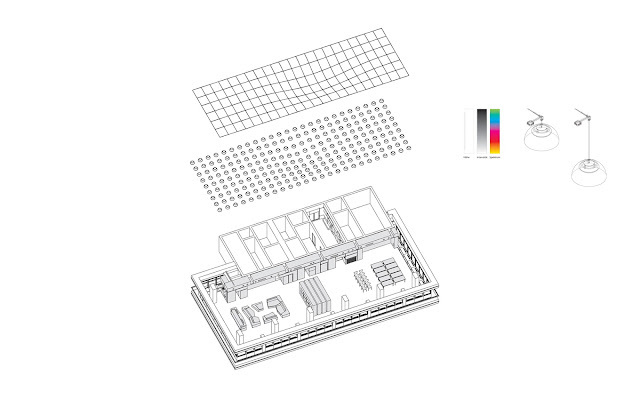 Founded in 2010 by a diverse team including contemporary artists, event managers and practicing architects, MADE occupies an expansive space on the ninth floor of the Haus des Reisens, a 15-story office tower in Alexanderplatz. MADE's vision is to foster interdisciplinary (and unexpected) projects, under the de-facto slogan, "Extraordinary Things are MADE." Through collaborative proposals, artists from all over the world are invited to take a risk and make something outside of their typical body of work. The MADE space itself was designed to step beyond the standard white cube. However, as no one could (or wanted to) predict what would happen at MADE, the space provides as much flexibility as possible. Tables, chairs, moveable walls and storage space are all contained within a "superwall," which runs along one edge of MADE. This thickened wall allows for all seating, partitions, bookshelves, closets and work-surfaces to be easily stored away while still being immediately accessible. Additionally, a re-configurable Pangaea of lounge furniture, work tables and bars provide islands of stasis during events and performances. The light ceiling (created out of an array of originally designed lamps by architecture duo and MADE team members [M] AD Design & Architecture) encompasses the entire color spectrum, providing the possibility for infinite atmospheres depending on what the artists require. The most recent experiment at MADE, "FUTURE SELF," recently came to an end, but in its last days, visitors from across the globe came to experience a collaboration between technology, music and the body. "FUTURE SELF" brought a media artist collective (rAndom International), a choreographer (Wayne McGregor) and a composer (Max Richter) together to study the intersection of technological interpolations of movement, dance and an original score. 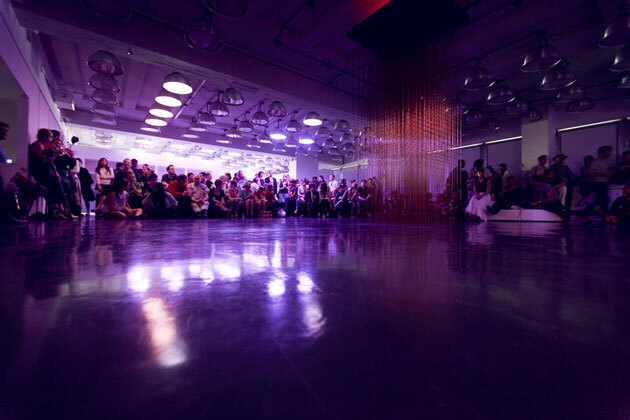 When the show premiered at the end of April, the cohesion of all the elements created a transfixing performance. 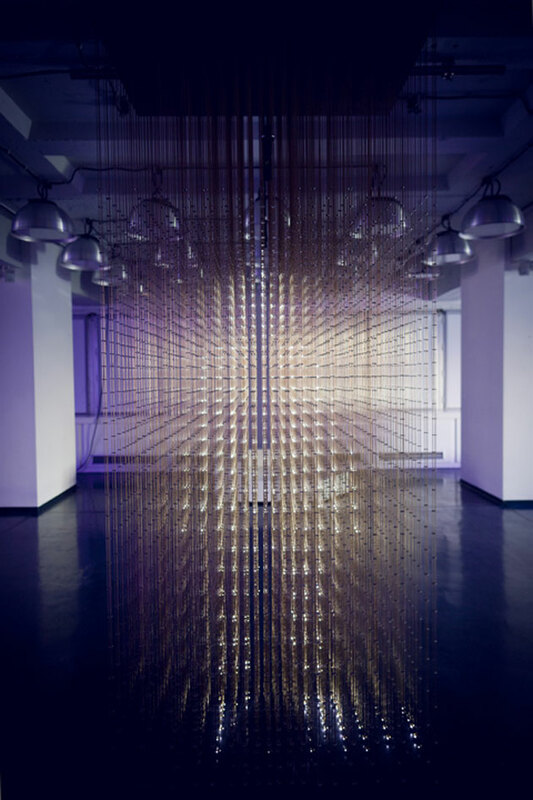 The central figure is rAndom International's column of hovering LEDs, where each light is suspended within a dense grid of floor-to-ceiling conductive rods. This illumination-field is also outfitted with two motion-sensor cameras that capture gestures of passers-by within an established range. The computer program that rAndom wrote for "FUTURE SELF" transforms the information gathered by these cameras into an illuminated doppelganger within the field, mirroring the motions of the source body. 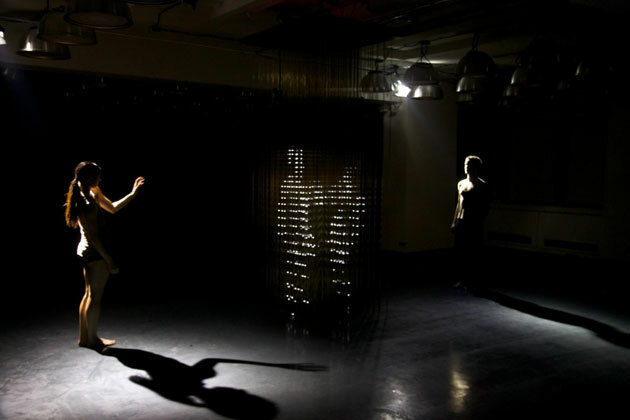 There is a set of parameters that allows for factors like brightness and time-delay to be manipulated according to the needs of the other collaborators: Max Richter, whose musical score moves between a delicate airiness and robust crescendo, and choreographer Wayne McGregor, who orchestrated all the motions that the cameras would pick up. This duality was the crux of the exhibition, allowing the viewer to hover between physical form and pixilated reflection. A clear illustration of this condition came through the choreography. Throughout most of the performances, the two dancers remained on opposite sides of the field, each claiming one camera for himself. 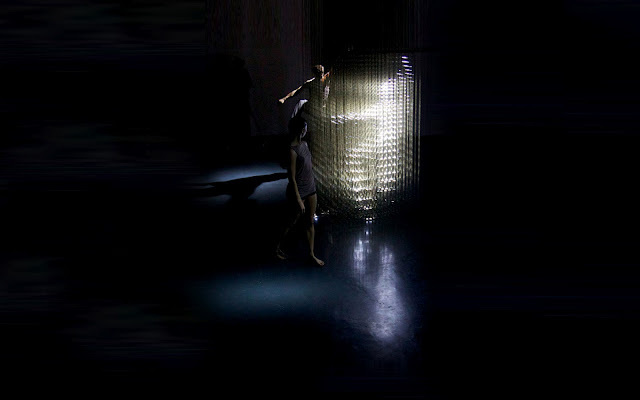 rAndom's installation transformed a dance of two individuals into a duet that occurred in the light field. Technology like this does conjure up familiar images of responsive screens, which similarly mirror and manipulate passing viewers. But one major difference with rAndom's contribution was the depth that the field creates. 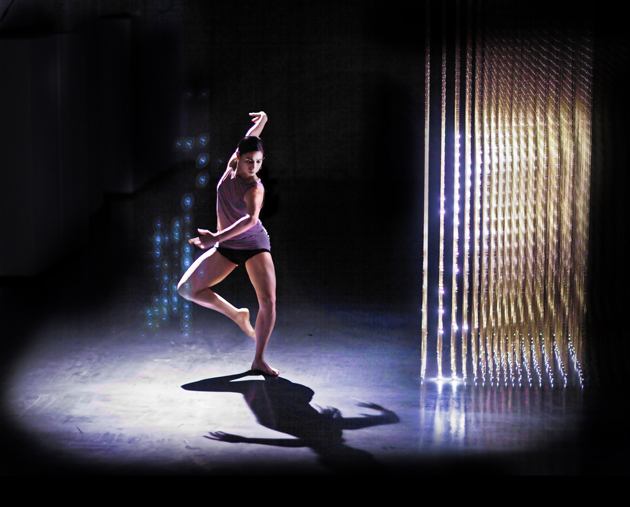 As a figure approaches the grid of floating lights, the "reflection" also approaches the figure and disappears as it recedes. After the opening-night performance, the installation remained intentionally incomplete. Richter's music played, rAndom's light field fluttered in default-mode, but the dance became dependant on the show's visitors. 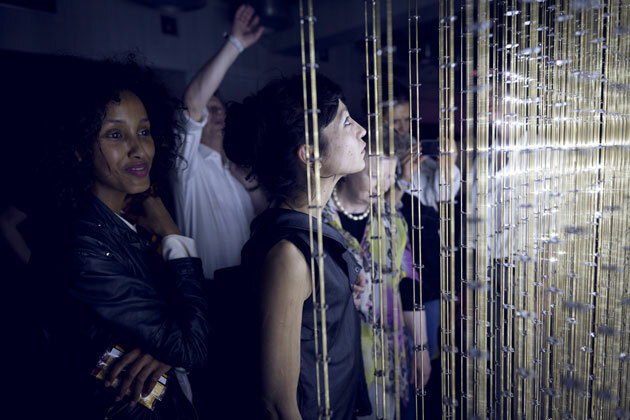 For most guests there was an emphatic joy leading up to playing with the “FUTURE SELF” installation. But once “inside,” guests became hyper-aware of each gesture and often slowed down every move to see it suspended in illuminated space, frozen in a future self. Elizabeth Feder received a Bachelor of Architecture degree from The Cooper Union for the Advancement of Science and Art in New York City and moved to Berlin in 2010 to further her architectural and urban research with the Deutscher Akademischer Austausch Dienst. She is currently a contributor to and creative director of Berlin Art Link, an online arts platform, and part of the [M] AD Design & Architecture team.